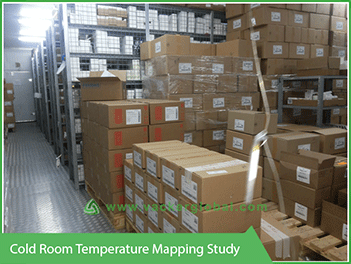 Temperature Mapping study is a process to study and analyze the temperature distribution inside a room. This is mainly applicable for pharma industry for storage of medicines. We carry out temperature mapping study for storage areas and vehicles used for storage and transportation of temperature sensitive goods. Typically such items are medicines, vaccines etc. Other terminologies used are Thermal mapping study, temperature distribution study etc. 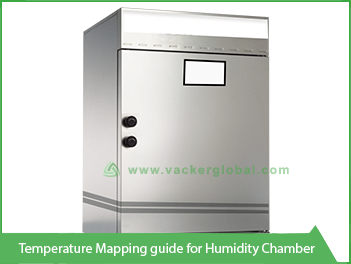 If you need to study humidity levels, then we carry out a temperature & humidity mapping study. We have been carrying out temperature mapping study for past many years across all Asian, African and European countries. This article explains guidelines for carrying out complete temperature mapping study. Please check our VIDEO below for more information on Temperature Mapping. Please listen to our PODCAST  to understand Temperature Mapping Study. There are special form of drugs and vaccines, which we should store and transport at certain controlled temperatures. Majority of these drugs and vaccines are under two categories; those that needs storage between 2°C to 8°C and the other is between 15°C to 25°C. It is essential for the effectiveness of the medicines to have these restrictions. If the drug or vaccine is going above these temperature limits, the medicinal value might be gradually lost. More importantly, the goods will no longer show any indication that it does not have the full medicinal properties. In such case, the ultimate distributor and the person will not know the effectiveness of the medication. Pharma companies store these items in warehouses, controlled rooms or refrigerators. They transport these items in boxes, vans, reefers and trucks. The whole set of temperature study or temperature and humidity mapping study is to research the temperature distribution across all these assets. Such a study in a warehouse, cold room, fridge, van or reefer vehicles will reveal their performance. It will show whether the temperature inside such facility is always between the desired temperature limits and humidity limits. Why Temperature Mapping Study is important? In case you are involved in manufacturing, transportation, storage or distribution of drugs and vaccines, you know the importance of keeping the drugs in controlled temperature and humidity conditions. This article will give in-depth details about temperature mapping study. In all those cases your medication storage is inside an enclosed place. These will include probably a warehouse, cold room, temperature managed van, reefer truck, fridge, insulated containers etc. After production of the medicine, it goes through various transportation and storage areas until it reaches the end user. If the medicine is not stored properly, the medicinal values will be completely lost. As an example, a medicine manufacturer recommends that a particular medicine should always be kept between 2 to 8 °C. After the medicine leaves the factory there are various agencies involved such as the international transporter, a regional distributor, a local transporter, a local distributor etc. All these parties should keep this medicine within the specified temperature limits only. If the medicine undergoes temperature variations in any of these agencies during any stage of storage or transportation, it will affect the quality of the medicine. If a local distributor is using a temperature controlled van for distribution of the medicines, the temperature inside the van should be between 2-8 °C at all times. They have to control the door openings also so that the temperature does not go above the limits. We have to carry out a temperature mapping study on such a van before using the vehicle for distribution of such medicines. As another example, consider that you need to preserve the drugs between 2 to 8 °C and you're keeping it inside a cold room. In this case, how will you ensure that the entire controlled room is always keeping these temperature limits? How does a 3rd party like your supplier or auditor can check whether the complete controlled room is always maintaining the correct temperature at all points? How will you make certain that the display at the front door is precise in relation with the corresponding sensor? How do you know about the variations whilst a door is opened? The sensor is probably a long way far from the door and therefore might not reflect the real temperature at many points. However, certainly it happens that the vicinity near the door suddenly goes above 8°C. How do you know what are the variations happening inside the room when power fails? All of these doubts may be clarified best via a temperature mapping examine. What is Temperature Mapping Study or Thermal Mapping Study? As an example, we will consider a temperature controlled van which is used to transport a medicine between 2 and 8 °C. The cooling unit is generally on one corner of the cargo compartment of the van. A control unit mounted inside the driver cabin the temperature inside the cargo compartment. We can set the control unit at a particular temperature eg. 5°C and the temperature inside the cargo chamber. We assume that the temperature inside the van is around 5°C at all times. However, there are various other parameters affecting the uniform distribution of the temperature inside the cargo chamber. Even when the cargo chamber is completely empty, the entire area of this chamber may not be able to maintain a uniform temperature distribution within 2 and 8°C. eg. The corner far away from the cooling unit may reach temperature higher than 8°C, because of improper air circulation. Another area near the cooling unit may reach temperature below 2°C at certain times. Both these conditions are harmful for the medicine and will affect its efficacy. The driver of the van has no means to identify such a situation. He may be keeping the medicine boxes as per his convenience and available space inside the van. This will compromise the quality of the medicine inadvertently. 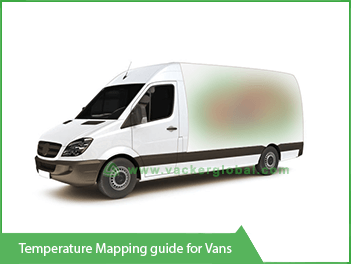 In order to find out such variations, we have to carry out a temperature mapping study inside the van before using the van for such transportation purposes. The same situation arises for other facilities such as warehouse, cold room, refrigerator, thermally insulated boxes etc. How to carry out Temperature mapping study? In order to carry out temperature mapping study, we have to record the temperature inside the area for a certain period continuously. We can do this by using Temperature Data Loggers. We will place the data logger inside the closed area at various places, shelves etc. We will collect the data for couple of days or weeks depending on the type of asset and application. After downloading the data, we analyze the same for various conditions to generate the results of the mapping study. As a thumb rule, for areas such as warehouse with a wide temperature range, we place one Data Logger for every 10 cubic meters. For areas such as cold rooms with a narrow temperature range, we place one data logger for every 5 cubic meter. All data loggers will start recording simultaneously and the recording continues for predetermined period. For a cold room, the data collection will be for 4-6 days. The data collection period will be 7-14 days for a warehouse. There is no need to carry out the study for a very long period. During a particular climatic season, the inside behavior remains almost constant. So if the study is carried out for couple of days, it will give an indication of the general behavior. It is ideal to include couple of working days and at least one holiday. We will briefly explain the method and procedure for carrying out temperature mapping study and temperature qualification. Empty test - Analyzing the readings in an empty condition. This is to check whether the room maintains the temperature when the room is completely empty. Partial Load test- Analyzing the readings when 60% of the area is loaded with medicines. This is to check whether the room maintains the temperature when the room is almost 60% full. Basically, the standards specify that the tests have to be done under two loaded conditions. So apart from empty test and full test you can decide a percentage as per your regular usage. If you feel that your general usage is with 75% loads, then it is better to carry out the test under 75% load instead of 60% load. If the client does not have any specific requirements, we carry out the tests at 60^ loaded condition. Full load test - Analyzing the readings when the area is loaded completely. This is to check whether the room maintains the temperature when the room is 100% filled with medicines. Door opening test - We have to open the doors during each of the above tests to analyze the variations inside the room. Depending on the normal usage pattern, atleast 3 different durations have to be tested. Eg. for a cold room, we have to test with one minute door opening, 3 minute door opening and 5 minute door opening. We might carry out a 10 minute door test also to decide what is the maximum period for which temperature remains within the limits. The purpose of this test is to find out for how long the operators can open the door during normal operations. Power failure test - In case power fails, we would like to know how long the temperature remains within limits. In order to study this, we have to close the doors and switch off the power. The purpose of this test is to find out how long the medicines are safe inside the area once power fails. This helps you to write a SOP (Standard Operating Protocol) for the actions to be taken in case of a power failure. In case you have real medicines inside the cold room, you have to be cautious during the test. You have to keep watching the temperature from the outside and switch on the temperature as soon as the temperature reaches 7.9° Centigrade. For this you need to have a temperature display outside the room. You should not open the door at all, which will spoil the test. If you have multiple cooling units inside a cold room, it is better to carry out separate power failure tests on each cooling unit. But this is not mandatory. Start up test - When you are starting up the cooling unit, you would like to know how long it will take to reach and stabilize at the required temperature from ambient temperature. This test is known as start up test. This is especially important for vans, trucks, active boxes etc. which requires frequent switching on and off. If you have a new cold room or warehouse it is advisable to carry out this test. Once you are fully operational, it is difficult to carry out this test, since you will have real medicines inside the room. Recovery test Recovery test is the test to determine the time required to attain and stabilize the specified temperature after a door opening test. The purpose is to specify the time gap between two door openings. What is temperature and humidity mapping study and do I need to do the same? In many countries, the external humidity is high. In such cases, it will be important to study the humidity distribution as well. Hence, we carry out Temperature and humidity mapping study in such cases. The entire procedure is the same as a Thermal mapping study. However in this case we use Temperature and Humidity data loggers. However for thermal mapping study temperature data loggers are used. Generally, for pharmaceutical storages, the humidity should be between 45% to 65%. This generally depends upon the type of medicines. If you want to reduce high humidity, you have to use Dehumidifiers. If you want to increase humidity, you have to use Humidifiers. 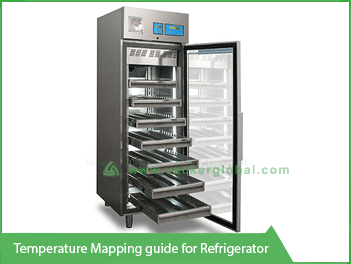 If you are not sure whether you need temperature and humidity mapping study, it is better to check the specifications of the stored goods. The manufacturer of the goods recommends desired temperature and humidity levels. A temperature mapping analyzes only the temperature. A temperature and humidity mapping study analyzes humidity also. This is important because many of the pharma manufacturers specify that their medicines should be always within a certain humidity range. The humidity is measured in Relative humidity defined as %RH. If your manufacturer specifies a certain humidity level, it is imperative that you need to include humidity mapping as well. So, in this case we use Temperature and humidity data loggers to record both of them. In case of temperature mapping study, only temperature data logger was sufficient. So if you are not sure whether you need to include humidity in the study, you may check the storage conditions specified by the manufacturer. Suppose they specify that the medicines should be stored within 65%RH. This means that the test should prove that the humidity inside the room is always below 65%. Generally, only upper levels of humidity is important. However if you are in an extremely dry country, it is advisable to have a minimum humidity level of 40%. We do not recommend testing of humidity for vehicles. This is mainly because the storage is for a short duration. Also, it is difficult to control the humidity inside the vehicles. For a delivery van, there will be frequent door openings and humidity goes high very often. For controlling humidity, we install dehumidifiers inside cold rooms and warehouses. However it is not possible to install a dehumidifier inside a vehicle. What is the recommended relative humidity for storage of medicines & pharma goods? From our experience of temperature mapping study, most of the pharma manufacturers recommend an upper limit relative humidity of 65%. However, there were couple of cases where the humidity limits specified was 45%. If you are a distributor of multiple pharma companies, you will be storing various medicines. Each of them will have different requirements. Hence you need to check the recommended humidity levels of each of them. This is applicable for any storage areas such as warehouse, cold rooms, walk in freezers, refrigerators etc. It is possible that most of the medicines will not have any requirement of humidity. However if one of them requires controlled humidity condition, you need to carry out humidity mapping study to ensure that the area is within the specified limits of this medicine. Eg. If this medicine specified a storage condition of 60% RH, you have to carry out the mapping study for an upper limit of 60%. Why the cold room or walk in freezer has a very high humidity? A cold room opens towards a higher temperature area typically to a warehouse. We will explain the reason for high humidity inside a walk in freezer through an example. We will assume a cold room having temperature between 2-8° Centigrade and warehouse with a temperature between 15 to 25° C. The cold room opens to the warehouse. Let us assume the warehouse has a humidity of 60%RH. Initially before the cold room is switched on, the entire area including the cold room will have a humidity of 60% RH. This is because humidity quickly distributes equally across the entire area. Now we will assume that we will close the cold room and switch on the cooling unit of the cold room. We are not opening the door for next couple of hours. Now the temperature inside the cold room comes down and settles between 2-8° C. Now also the humidity inside the room remains at 60% since we did not open the cold room. Please remember that humidity is the moisture content in the air. Now we will open the door. As soon as we open the door, the cold air attracts moisture into the room with a tendency for condensation. The longer the duration of door opening, more moisture gets into the cold room. This process happens whenever you open the door. The humidity inside the cold room can go upto 99% RH. The only two factors which affect the humidity inside the cold room is the humidity of the warehouse and the door opening time and frequency. But once the humidity increases, it will not come down because the moisture content remains same in the air. The humidity will not come down until we remove the moisture from the air using dehumidification as explained separately. In case of walk in freezers below 0°C, this is not a problem. In these cases also the moisture content increases as soon as the door is opened. However when the door is closed, the moisture content slowly becomes ice since the room is below 0°C. Hence, after some time, humidity level comes down. In food industry, the humidity level becomes very low in freezers and we have to use humidifiers to increase the humidity levels. Why the cold storage room has excess ice formation? Before commencing the mapping study, you may inspect the cold room. If you notice ice formation, it is obvious that your cold room is going upto 0°C continuously. As explained previously, as soon as you open the door, moisture enters into the air inside the cold room. When you close the door, it starts becoming ice if any area in the cold room is at 0°C. This process repeats every time you open and close the door. In such case, the temperature mapping study will definitely fail. Hence, you need to inspect the cooling system before commencing the mapping study. Please listen to our PODCAST  for more information on Temperature Mapping Study. How can I reduce the humidity of medicine storage cold room or warehouse? In case the humidity is high in a cold room or warehouse, the mapping study will fail. In such case you need to reduce the humidity. In order to reduce the humidity you have to use dehumidifiers for dehumidification process. As humidity is the moisture content in the air, you need to remove the moisture content to reduce the humidity. This is only possible by dehumidification. Dehumidification process is removal of moisture content from the air either by converting into water or by removing the wet air from the room. Dehumidifiers do this process efficiently. It is not recommended to buy off the shelf dehumidifiers for this purpose. There are different dehumidifiers such as desiccant dehumidifiers and condensation dehumidifiers. These are two different types based on their operating principles. Also there are dehumidification calculations for finding out the required capacity. We carry out the design calculation after measuring the current humidity, size of the room, rate of air flow, no. of door openings per day etc. After collecting these details, we have to calculate the required type and capacity of the dehumidifier. Eg. If you have two identical cold rooms inside the same warehouse, the capacity of dehumidifier might be different for each room based on the number of door openings. You may have to consult an expert for such calculations. We undertake design calculation and installation of dehumidifiers with complete responsibility to reduce the humidity to the desired levels. If we undertake temperature mapping study and dehumidification, you can be peaceful of assured results. What is the sampling interval for temperature mapping study? Sampling interval for cold rooms is generally 3 minutes. This means the data logger will record the temperature and humidity every 3 minutes. We do not recommend sampling interval above 3 minutes for cold rooms. Since the temperature range is very narrow between 2-8 Degrees, if we keep a higher sampling interval it will not indicate real variations. Eg. If we keep the sampling interval as 5 minutes, it is possible that the temperature will go above 8°C and come back within 5 minutes. If you are keeping extremely sensitive medicines, we recommend keeping a sampling interval of 1 minute. Otherwise, 3 minutes interval is fine. Humidity does not fluctuate very fast, but temperature fluctuates very fast. We recommend sampling interval for a warehouse as 10 minutes or 15 minutes. 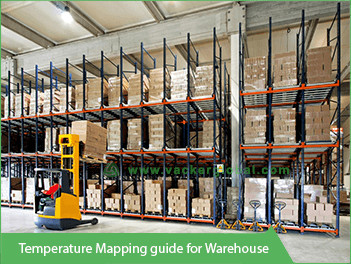 For a warehouse, the temperature range is wide between 15 to 25°C. Also, temperature rise or fall is a slow process. Hence, a sampling interval of 15 minutes also is fine. We recommend sampling interval for a van as 3 minute intervals for the same reason as that of a cold room. The fluctuations inside vans are very frequent and hence we do not recommend a sampling interval higher than 5 minutes. For reefer trucks transporting goods for a longer duration, the temperature is more stable since there will not be frequent door openings. Hence, sampling interval between 3 to 5 minutes will be enough. What are the details required form the client for commencing mapping study? 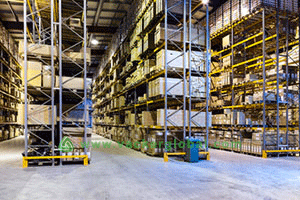 For warehouses and cold rooms, we require the size of the room including length, width and height. Also we require the details of the cooling equipment and a layout drawing of the area including the location of the racks. For vans and refers, we require the size of the van, model and type of the van and the details of the cooling units. If the van has multiple compartments, we require the details of each of those compartments. Based on the above details we prepare a protocol for the mapping study. What is the total duration of temperature mapping study? Warehouse : We recommend a total duration of 10 to 14 days. This test will be continuous and will not disturb your normal operations. Cold rooms : We recommend a total duration of 3-4 days. During this period, we will carry out all the tests including door opening, power failure etc. During these tests, there will be limitations on normal operations. Hence we provide schedule in advance so that the client can plan accordingly. Vans for local distribution : We recommend a total duration of 2 -3 days. We will carry out door opening, power failure etc. during this period. The vehicles have to be completely free during the entire period. Reefer trucks for long transportation : We recommend a total duration of 3-4 days. The client cannot use the truck during this period at all. Active boxes : We recommend a total duration of 3-4 days. The client cannot use the boxes during this period at all. What is the sequence of activities for a temperature mapping study? Start up test to determine the time required to attain and stabilize at the desired temperature. Empty load test to analyze the performance of the asset under empty conditions. Power failure tests and door opening tests are not essential during this period since it has no practical value. However, we sometimes carry out the tests for critical analysis to compare the values with other tests. Partial load tests to analyze the temperature and humidity distribution when the area is loaded partially. As explained earlier, if you have particular conditions you can decide the percentage. Eg. If you generally load your cold at 40%, it is preferable to carry out the tests at 40%. If you have no particular requirement, we carry out the test at 60%. We carry out at least 3 different door opening tests and recovery tests during the partial load test. At the end of the partial load test, we carry out power failure tests to determine how long the temperature will remain within limits in case of a power failure. After completing the above tests, we carry out a full load test to determine the performance during a fully loaded condition. Again during the above test, we carry out 3 separate door opening tests and recovery tests. Upon completion of the full load test, we once again carry out a power failure test similar to that of partial load test. What loading conditions to be tested during temperature mapping study? If your rooms are already operational, you may not be able to remove the goods for the testing purpose. Hence real medicines will be part of the tests. However, you have to note that during the power failure test, the temperature inside the room should not exceed the specified upper limit affecting the quality of the medicines. Eg. consider a cold room with real medicines. Once we switch off the power for power failure test, the temperature will gradually increase. We have to keep watching the temperature on an external display. Once the temperature reaches 7.9°C, we have to switch on the power. In case you want to test the extreme conditions, it is better to use expired or rejected medicines. It is not advisable to use other materials since their thermal properties will be different. In case you want to use an alternative, the closest one is glycol. Glycol has similar thermal properties as medicine. To give you an example if you use water bottles, the duration for which water retains its temperature is totally different from that of a medicine. Hence, this will affect the results of power failure study. During a power failure, the stored goods slowly dissipates its stored temperature. So the total duration for which temperature remains within the limits is affected by the stored goods also. What are the normal reasons for failure of assets? We will briefly explain few of the reasons for each type of asset. We normally recommend out a brief trial test to review any major problems. Thus, the client can correct minor problems before starting the actual tests. 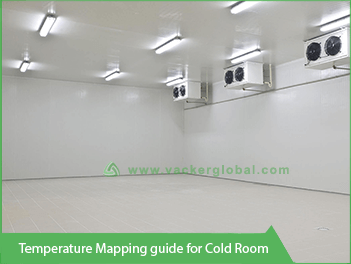 Cold rooms – High humidity is one major reason for failure of cold rooms. Also, the temperature distribution across different areas may not be uniform. Many times, the temperature shown in the display of the cooling unit may not be actually representing the temperature inside the cold room. It is also possible that the calibration of the display unit is not proper, causing error. For exact calibration of this display, the calibration company should inject different currents into this display and check the accuracy. Many companies check the temperature at the sensor inside the cold room and compare the results with that of the display. This method is less accurate than the previously recommended method. 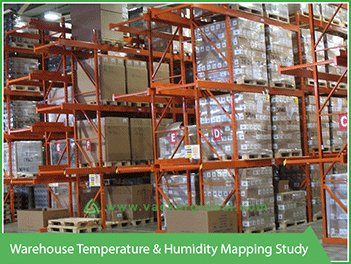 Warehouses – For warehouses, high humidity can be a reason for failure in countries having high humidity. Another cause is that the temperature setting may not be proper. The controller will be showing the temperature at some corner of the warehouse. But the actual temperature across the warehouse will be totally different. The next cause is generally entry of direct sunlight through windows. Vans – The small distribution vehicles are tough to pass especially in hot countries. One of the main reasons is not having a proper calibrated controller as explained for cold rooms. The second reason is not having proper lower limit and upper limit cut off for the cooling unit. The cooling unit supplier can do this programming. Reefer trucks – Performance of these cooling units are better than those of vans. The main reason for failure is not having proper air flow, especially when the truck is fully loaded. The cooling unit will be at one end of the truck. The air flow to the other end may not be proper. This happens especially if the truck does not proper internal ducting. The calibration of controller is applicable for reefers as well. Refrigerators – For refrigerators, the main reason for failure is recovery period after a door opening. The inbuilt controller and the sensor positioning has to be proper. Cooling boxes – For cooling boxes, the cooling unit is extremely small and generally is able to perform well in the small area inside the box. Generally, we see higher failure rate in case of old boxes, which are in their second or third year of operation. What will be the contents of mapping study reports? The temperature and humidity distribution analysis charts for each test. Individual readings of all data loggers. The layout drawing of the area including the positioning of racks. The client should not change the rack layout after conducting the temperature mapping study. If you have to change the racks, you have to carry out a fresh mapping study after changing the racks. The report will contain recommendations for including in the SOP for regular operations. How long is the validity of a mapping study report? 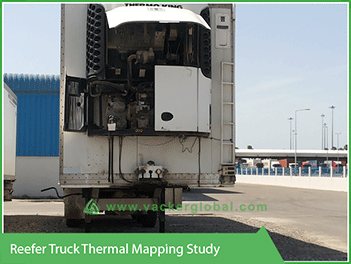 Vans & Reefers : We recommend to repeat the mapping study once in every 2 years. This is because the performance is highly dependent on the age of the vehicle and the cooling units. Cooling boxes : We recommend to repeat the mapping study once in 12 to 18 months especially for 2-8 Degree C boxes. We have noticed that by second year, the performance of the boxes deteriorates. Refrigerators : We recommend to repeat the mapping study once in 2 years. 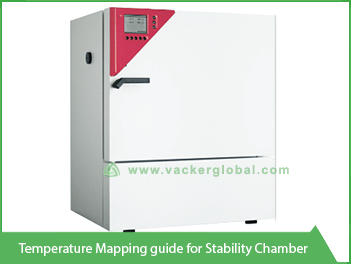 Humidity chambers & stability chambers : We recommend to repeat the mapping study once in 2 years. How many climatic seasons we should do a mapping study? Most of our clients raise this question. Generally, we recommend two seasons, once in summer and once in winter. However certain countries go through 3 extreme climatic seasons including spring season. In such case, you may have to carry out the tests three times in a year. This is important mainly for vehicles. This is because they have a direct impact of the ambient temperature. Even in such a case, for a cold room inside a warehouse we require tests in two seasons only. For such cold rooms, test under one season also is enough if the warehouse is under controlled temperature. In such a case, there will not be much effect by the ambient temperature on the performance of the cold room. How to select a vendor for temperature mapping study? Even though the tests are not highly technical, analysis and recommendations require high technical skills. Especially if the tests fail, you will need technical help to analyze the problem. Hence we recommend the client to appoint technical companies having experience in HVAC system. The company should have expertise in multiple disciplines such as dehumidification, cooling systems etc. If the company undertakes complete responsibility of adjusting the cooling units, controlling humidity etc., the client need not worry about the results. The company should have international exposure. This way they will have better knowledge compared to a local company. The auditors come from different parts of the world with different practices. Hence you will benefit by appointing an international company for your mapping study. In case the test fails, the company should be able to give you specific corrective action including any design calculations etc. Also, you have to seek a retest in case the test fails. Their report should have recommendations to include in your SOP (Standard operational practices/protocol). Some of your regulations will require that there should be interlocking of doors for your warehouses. This means that it should not be possible to operate two different set of doors simultaneously. We will be able to complete provide such systems if required. Some other requirements call for local siren and phone call alerts in case of temperature excursions. Our engineering team will be able to provide such solutions. If required the temperature mapping company should be able to prepare the complete SOP for you. How to prepare a SOP (standard operational protocol) after conducting a mapping study? What should be the temperature setting for the cooling unit? What is the ideal door opening time? What should be the gap between two door openings? Is there any area, which is susceptible to temperature variations? In such case, the client has to isolate those areas from keeping highly sensitive goods. Are there any other precautions required in case of extreme weather conditions? You may ensure that your vendor provides all such details. What are the points a client has to implement from a mapping study? Make sure to adjust the temperature of all the controllers in line with the recommendations in the report. Install the temperature and humidity monitoring and alert systems. Modify existing SOP/write a SOP incorporating the recommendations of the report. What auditors generally want to see in a report? Is the present layout exactly as indicated in the temperature mapping report? If there are major changes in the layout including the racks, a new mapping study is required. Whether there is a continuous monitoring system as per the hot and cold points indicated in the report? What are the highest and lowest readings recorded and whether they are very close to the upper and lower limits. Even if the mapping study has passed, these points will be a matter of concern. Whether the controllers have set points indicated in the report? Whether the client has implemented the recommendations indicated in the mapping study report? How to install temperature & humidity sensors as per mapping report? We will be giving suggested locations to keep the sensors of temperature and humidity recording system. We use the terminology as hot and cold points. We decide the number and locations of these sensors based on lot of analysis of the report. What are the recommended requirements for a temperature & humidity monitoring system? It should be possible to adjust the sampling frequency from 1 minute to 15 minutes. The system should continue recording even in case of a power failure without loss of data. The system should generate phone call and SMS alerts to atleast 4 people. The system should continue calling until one of the operators acknowledges the phone call by pressing a separate button on the phone. The system should continue calling all the people in case nobody acknowledges the call. The phone call alert system should be preferably through a SIM card instead of a cloud based system. This ensures more reliability. In the other case, there will always be certain amount of uncertainty because it has to pass through multiple networks and software. The system should work even in case of network failure. It should be possible to connect a local alarm or hooter. In such case local operators will get the alert immediately. It is preferable to have a system without annual software charges. Is Mean Kinetic Temperature acceptable for mapping study? Mean Kinetic Temperature is the mean value of each data logger during each test. This is not acceptable for finding out the results of the mapping study. For passing the mapping study, individual readings have to be within the limits. Even if one of the readings go out of the limits, it is an excursion of temperature. Please see Method of calculating MKT and Why MKT is not an Ideal Tool. Temperature Mapping Study only gives the behavioral pattern inside the area. A Qualification Study carries out detailed analysis of the area. This is to prove that design, installation and operation is in accordance with the desired results. Eg. Consider that a complete set of qualification study is carried out for a cold room. It analyses that the whole set of the cold room and associated equipment such as cooling units are designed, installed and operated properly. The result should be that it will always achieve temperature between 2 and 8 °C. Such tests are not part of a mapping study explained in the previous section. The company which carries out a qualification study needs to have expertise in mechanical and electrical engineering, since this involves a series of electrical and mechanical tests. Design qualification and verification to ensure that the asset and its equipment are designed to achieve the desired results. This process will involve verifying the design process of the asset. After verifying the design, it has to be verified that the installed equipment and the asset are as per this design documents. Operational qualification (OQ) and verification to verify that the equipment are operated as per the recommended methods of the manufacturers. Performance Qualification study (PQ) to evaluate the performance. 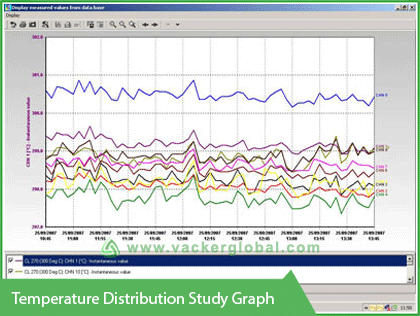 Temperature and humidity distribution study is part of this Performance Qualification. A temperature qualification study includes temperature mapping study, but not vice versa. 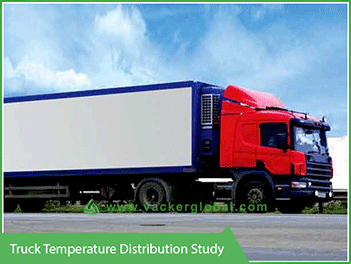 Please Contact VackerGlobal for free evaluation and guidance for carrying out a complete temperature mapping study. We offer our services mainly across entire Asian and African region. The countries covered by us in the Asian region are mainly United Arab Emirates, Kingdom of Saudi Arabia, Qatar, Oman, Bahrain, Oman, Iraq, Iran, Lebanon, Jordan, India, Pakistan, Bangladesh, Sri Lanka, Singapore, Hong Kong, Myanmar, Vietnam, Thailand, South Korea, Japan, Mongolia, Malaysia, Indonesia and Philipines. The countries covered by us under African continent are South Africa, Nigeria, Tanzania, Kenya, Ethiopia, Ghana, Rwanda, Uganda, Morocco and Djibouti. We also offer our services in certain European countries through our partners.